Hammond Manufacturing EHL Series Locking L handle in black finish, has die-cast zinc construction for added durability. 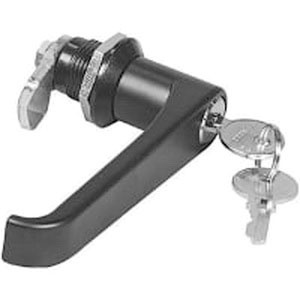 This locking L handle is NEMA 12 and NEMA 4 rated for added protection. It is field installable and interchangeable with standard quarter turn latches. It is suitable for use on eclipse series industrial enclosure. The locking L handle meets UL and CSA standards.